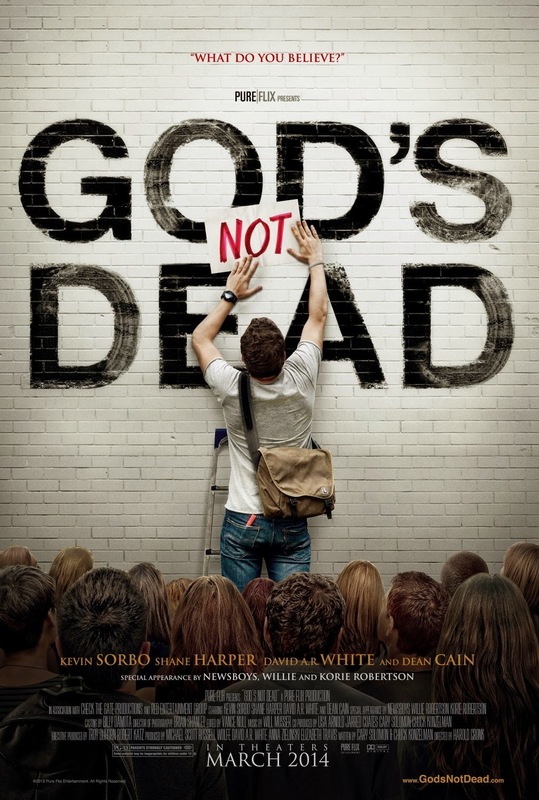 Movie In A Blender: Lookout Hollywood, Jesus is my Co-Director! Lookout Hollywood, Jesus is my Co-Director! Movies are markers of the time we live in. We have films that recapture tragic events to invoke powerful emotions. We have films that exploit childhood nostalgia for fun and profit. 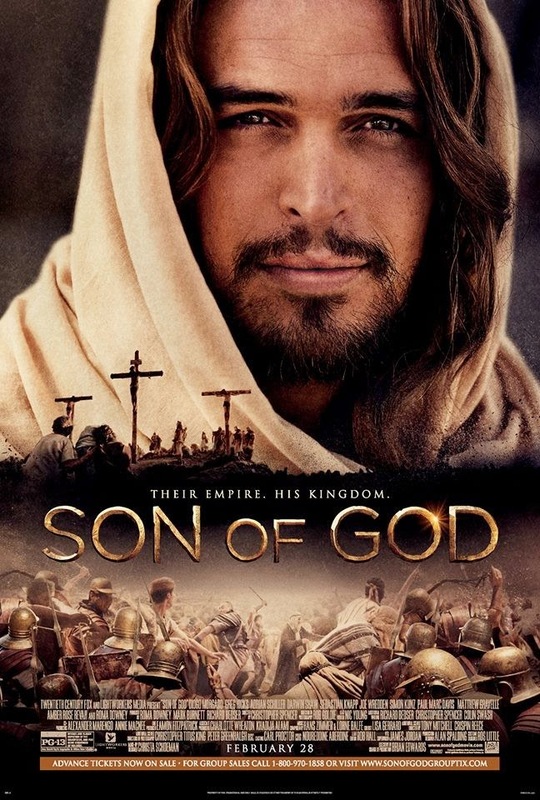 So it's hard not to see a blatant attempt at pandering from Hollywood with their recent religious centered films that just so happen to coincide with the Easter holiday. So, what are these movies really about and who are they honestly suppose to apply too? I dunno, let's find out. Well this one is pretty straight forward. It's life and times of Jesus Christ right out of the Bible. No, not the book, the show. Yes, the film is a cut & paste job from a History Channel miniseries last year. Now, there are no shortage of Jesus origin stories in the world and this one doesn't really bring anything new to the table. But it isn't offensive and if you're interest in seeing the exploits of Jesus again, there's no harm in it. Just be prepared for a made-for-tv look but with big screen ticket prices. This movie really bothers me. It's all about the advisably nature of a learned atheists bullying a stalwart Christian youth and these types of stories irritate me to no end. Because in such stories, one side is always shown to be in the wrong, period. Stock caricatures that hardly represent real, complex people. Movies like this are used only to poke-fun at whoever isn't in your camp. Which is a huge problem because it usually shuts down any meaningful discussion. With this flick, it either echoes your own convictions or it insults your sensibilities. And I would not recommend either. This one, well, it's a lot like if you re-made Phenomenon but substituted "aliens" for "heaven" and replaced the ever charismatic John Travolta for a child actor. But he's adorable I guess? Look above all else, this is a feel-good flick; even if it doesn't have enough quality material to really fill an hour and a half. It just isn't an entertaining watch. For me, the biggest issue is that there's no suspense to it. 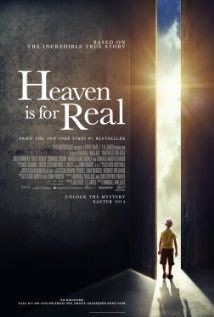 It tells you point-blank, "Heaven is for real" so there's nothing to look forward to. There's no mystery left. For me, this was the most enjoyable watch out of the bunch. 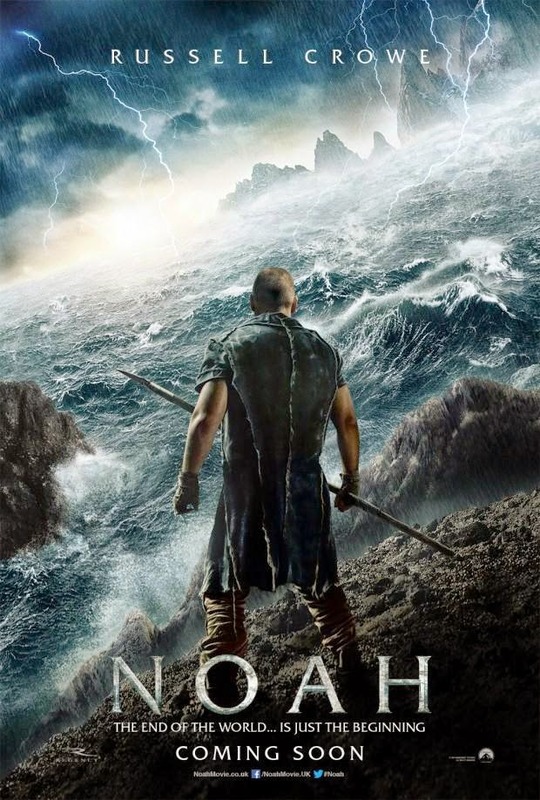 I've never seen an adaptation of a Biblical story that drew on the most fantastical elements and just ran with it the way that Noah did. It was like watching a Post-Apocalyptic flick that's actually a Pre-Apocalypse flick and I don't even know if that's a thing! I found the religious imagery to be perfectly suited. The message of faith is subtle and left open for interpretation. And as shallow as it sounds, the film had great special effects and the acting was entertaining. I personally hope more religious adaptations follow Noah's lead and just indulge themselves every once in a while. Labels: Lookout Hollywood Jesus is my Co-Director! Great thoughts shared by the Darrin Jones. I agree with the term movies are markers of the time we live in. saleonleather provides me the fashion apparel like uses in the movies.